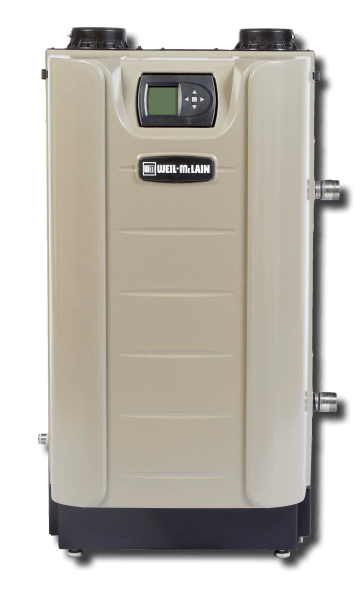 ATI can facilitate the purchase of your next high-quality, high-efficiency, and high-durability commercial boiler or water heater by connecting you to the industry's leading manufacturers and assisting you in selecting the boiler/heater that best fits your application. Columbia Boiler Company, founded over 75 years ago, remains today among the most trusted names in the commercial HVAC industry, and they still make all their products in the USA. 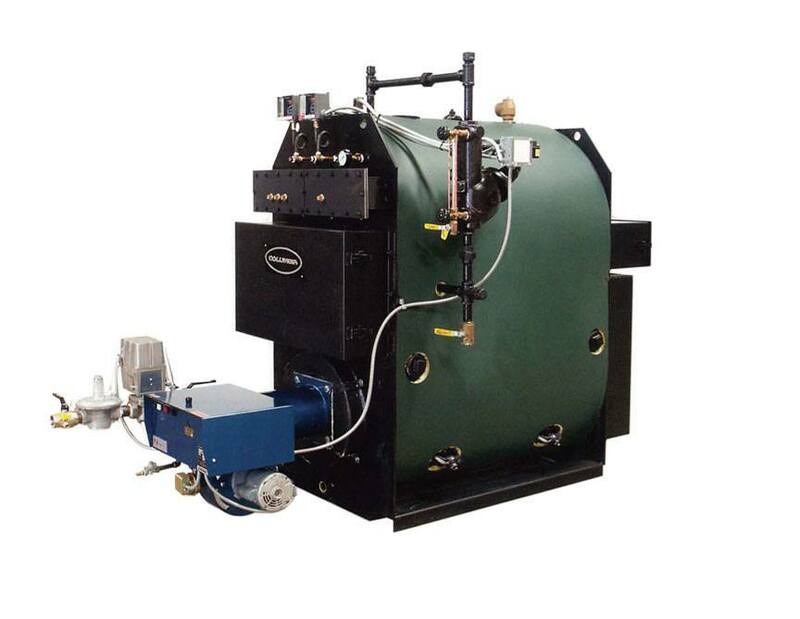 Commercial/industrial boilers, including: MPH Series low-pressure steam boilers, CT Series high-pressure steam boilers, Keystone Series in either low/high pressure. Waste oil boilers that reuse waste oils of all kinds to reliably produce steam/hydronic heat. Home heating boilers, such as the Wet Base Series (86% efficiency), the highly compact LV Series, and the Casco Bay Series, with its modern look and easy servicing. Columbia makes the MPHX and CWH Series of water heaters, which offer instant indirect heating through copper coils to minimize corrosion risk and deliver clean, hot water continuously. Perfect for high-use environments, and can run on #2 oil or natural/LP gas. Fulton is well known for its custom-engineered, commercial heating systems as well as packaged units. 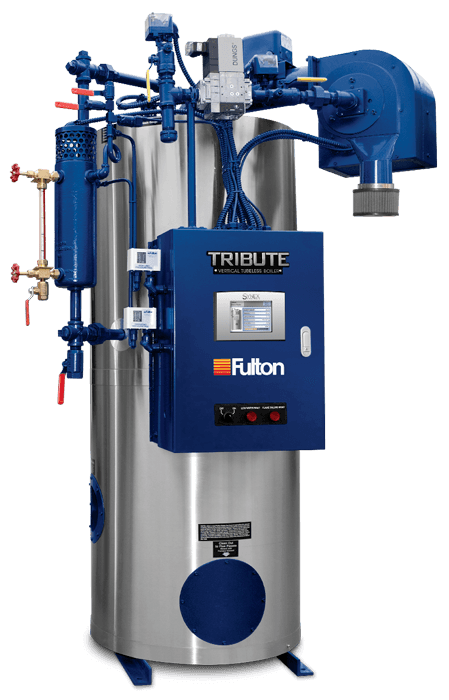 Fulton steam/hydronic boilers and water heaters are highly durable and use all the latest technologies. The Edge Vertical Tubeless Boiler, with its flue-gas enhancing system and 84% efficiency. The Endura, known for its duplex stainless steel heat exchanger and its ultra-low NOx. The Pulse HW, an ultra-high-efficiency model that requires no power burner. 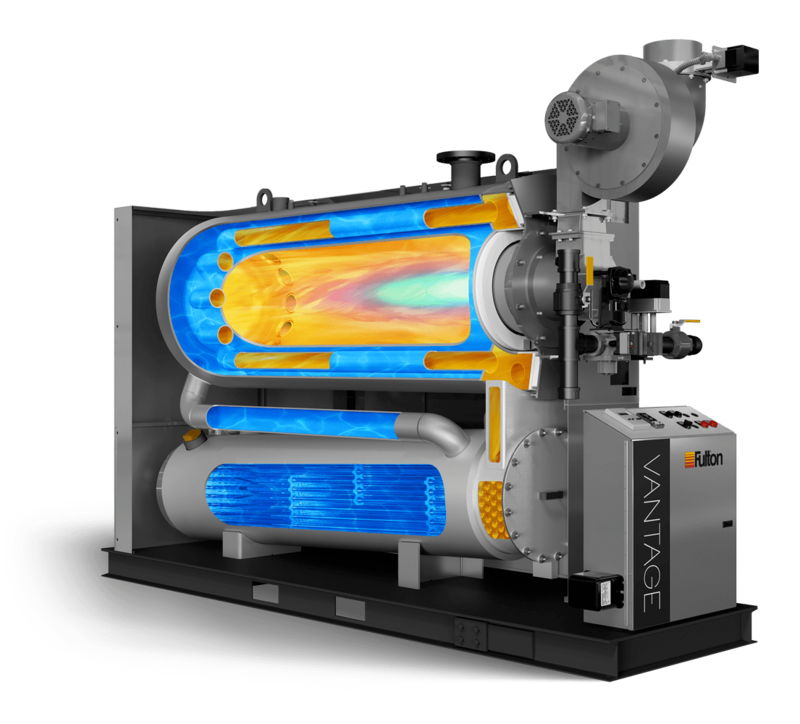 The Vantage, an ultra-efficient, dual-fuel model with linkagless modulation and capable of up to 6-million BTU/hr output. Futon makes the Pulse DWH/PDWH Domestic Water Heater, which brings the high-tech combustion of Pulse hydronic boilers to residential usage. The DWH is a fully condensing unit with up to 99% efficiency. Weil-McLain has been in the boiler/heater industry since 1881 and is today a leading manufacturer of hydronic heating systems throughout North America. Their boilers/heaters easily integrate with the most up-to-date controls, are highly efficient, and are built of durable materials. Weil-McLain makes boilers designed for both commercial and residential use. They offer gas-fired, oil-fired, and gas/oil combination units, units that fit into even the tightest spaces, boiler/zone controllers, and highly efficient models across the board. Weil-McLain's indirect-fired, high-efficiency water heaters produce around triple the peak-flow of electric units, double that of tankless models, and 50% more than direct-fired equivalents. Their Aqua Logic and Aqua Plus models are leaders in both efficiency and hot water production within their classes.